In most parts of the world, seafood is considered a luxury product. Because of this seafood producers care a lot about the quality of the end product that will be sold later on at a relatively high price. If you are in the frozen food industry, you must know that seafood products prove to be quite the challenge to freeze and store. This challenge begins before the freezing process even starts. In order for the frozen product to reach the consumer in the freshest possible state, the seafood needs to be fresh before the freezing process even begins. The freshness of the seafood will also determine shelf life and food safety certification. Food processors need to take several factors into consideration while identifying the most appropriate freezing technology to provide the best frozen seafood. Since people in the frozen industry freeze a variety of products, not only seafood, the chosen freezing technology must also be appropriate to be used for a wide range of products, and allow processors to take advantage of the seasonal demand. There are several types of freezing methods, two of them often used for shrimp are Cold Storage Freezing and IQF (Individual Quick Freezing). In the seafood category, one of the most difficult products to handle is shrimp. A lot of problems occur, especially while attempting to use the Cold Storage technique to freeze shrimp, both: raw and cooked frozen shrimp may develop unpleasant odors. This happens because of temperature in the storage is not low enough: the higher the temperature, the quicker the shrimp starts to emanate an undesirable odor. With the IQF technology, this could be avoided and the shrimp would be frozen at a significantly lower temperature. Another critical issue frequent when freezing shrimp using the Cold Storage technique is that, due to its stickiness, lumps and blocks can form on the raw shrimp. This process of freezing requires glazing or special packaging to protect both raw and cooked shrimp against the risk of dehydration. In order to respect food safety requirements, the process of glazing the frozen shrimp must be inspected periodically and renewed. The optimal freezing time is another factor that can cause problems in Cold Storage freezing. 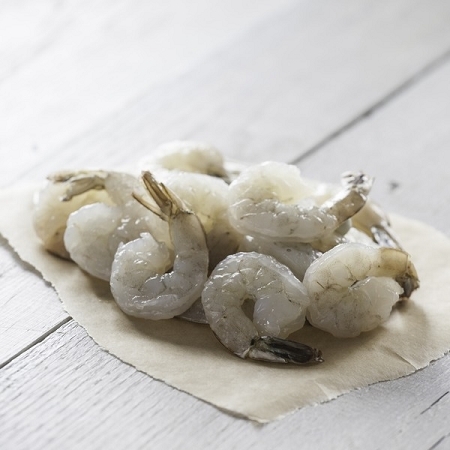 If the shrimp is kept in the storage for an insufficient time, it can result in a superficial freezing of the product; on the other hand, if the shrimp is kept for a long time, the frozen shrimp will become dry and “freezer burnt”. The dryness can compromise the quality and texture of the frozen shrimp. The more appropriate technology to guarantee the quality of frozen shrimp is the IQF technology (Individual Quick Freezing). Unlike Cold Storage freezing, which requires weighing and packaging of the shrimps in wax laminated cartons with a lining of waterproof material, the IQF process involves loading individually the blanched or graded shrimps into the freezing plate of the IQF freezer. Shrimp are rapidly frozen in the freezing tunnel, resulting in natural looking and remarkably well separated IQF shrimp. The IQF process is incomparably more appropriate for freezing shrimp and provides a number of advantages. The IQF technology delivers individually frozen shrimp in a significantly shorter time and it also provides the highest freezing capacity per square foot. Another benefit of the IQF technology is that its advanced design features help avoid the development of bacteria and the contamination between different batches of products, ensuring a reliable food safety. Using IQF technology comes with yet another benefit. Shrimps that were frozen using IQF can be thawed in just a few minutes or, even better, they can be cooked directly in their frozen state while defrosting blocks of shrimp can take up to 20 hours.